In 1988, Omega Waste Management, Inc. began providing waste managemenent services to assist in waste minimization and recycling needs. In the past, the issue of Land filling vs. Recycling has presented a compliance dilemma to many generators. 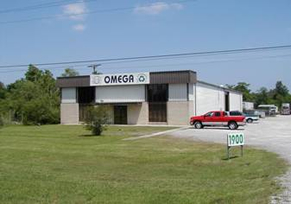 Omega Waste Management, Inc. is fully licensed and permitted by the Louisiana Department of Environmental Quality and meets or exceeds all standards and practices set forth in the regulations for Sub-Title D facilities. The technology employed in this process makes it possible for specialized equipment to mechanically shred laboratory tested, profiled and properly manifested non-hazardous material such as oily absorbents, used oil filters, used diesel filters, paper, metal, wood-waste, air filters, discarded used oil booms, general debris, RCRA empty containers (cans and buckets), drums (metal and plastic), and scrap hoses.